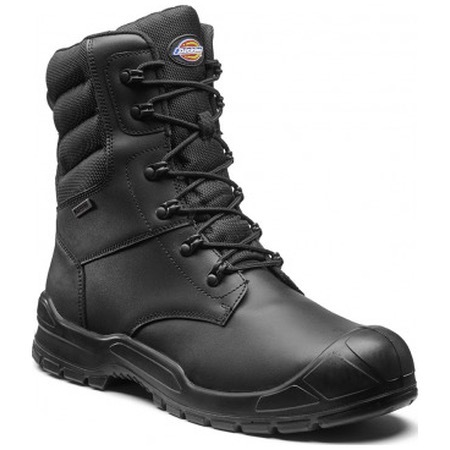 The Dickies Trenton Pro is one tough work boot. New for 2018 the Trenton offers steel toe cap protection along with a steel anti-penetration midsole. The leather upper has a breathable textile lining with a padded collar and tongue for comfort and a energy absorbing sole. The dual density polyurethane sole is SRC slip resistant compliant and is resistant to fuel and oil. The YKK zip fastening allows for quick and easy access when taking on and off and the waterproof membrane will ensure you stay dry.